OSD Audio SVC405 is a 300-Watt impedance-matching volume control with two-source (A/B) switching that allows you to adjust the volume of a pair of speakers independently of other speakers and control the volume of two pairs of speakers and one audio source. 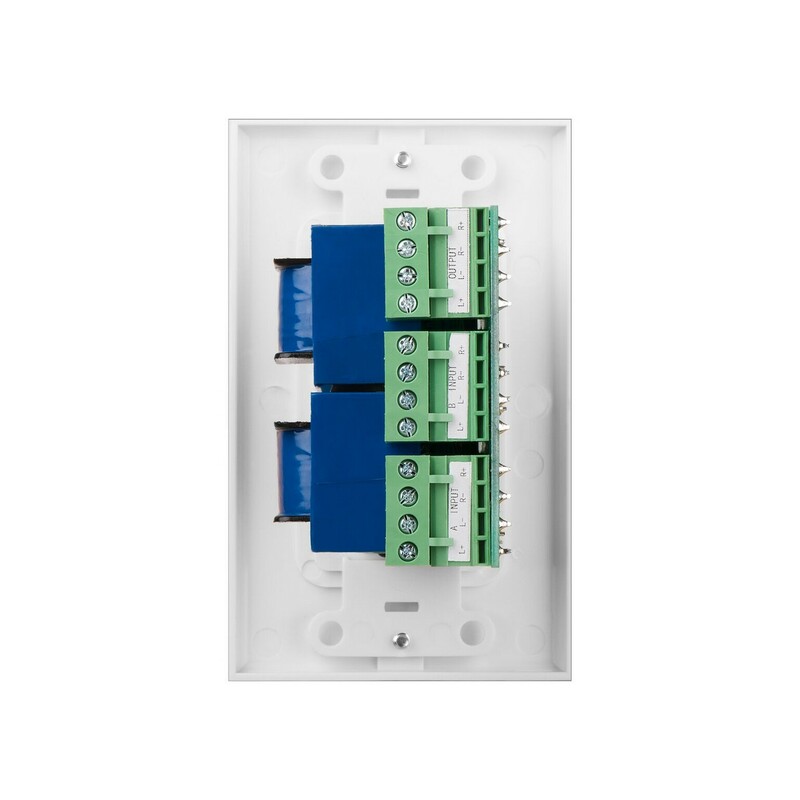 Ideal for both home and commercial installations, this decorative in-wall volume control includes an impedance-matching feature that stabilizes the ohm load so parallel connections of multiple volume controls can be installed without damaging the amplifier. The SVC405 maintains the full hi-fi audio frequency response with no low frequency roll-off and is rated at 300 Watts per channel (100W RMS). 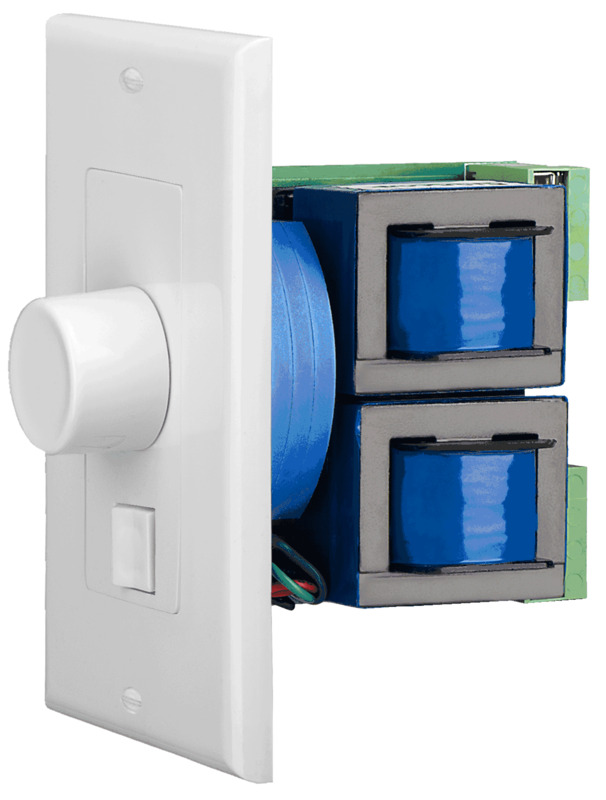 The rotary knob adjusts the volume from inaudible to loud, and when you order the SVC405, you get the complete kit that includes the junction box, screws white trim plate. What is 2-Source (A/B) Switching? 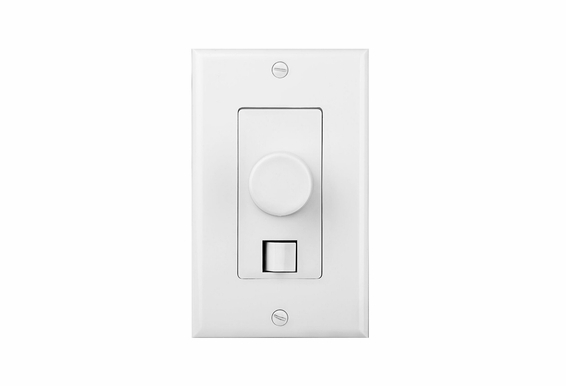 A/B or dual-source switching is a convenient feature that allows flexibility when you’re designing your whole-house audio system. With A/B switching, you can connect two sets of speakers and one source, and those speakers can be in same room or separate rooms. For example, speakers connected to source A could be in the living room and speakers connected to source B could be in the dining room. Then simply use the A/B switch to choose between the zones. I have installed the SVC405 in a room where I have one set of speakers and two sources. When I switch from the A position to the B position I still here sound from the original source but at a reduced volume. How do I correct this? I want to use A with impedance matching and volume control. Then I want to use B without impedance matching and no volume control. Will this device work ? Can you use both A & B at the same time? The description states it can be used with 2 inputs... 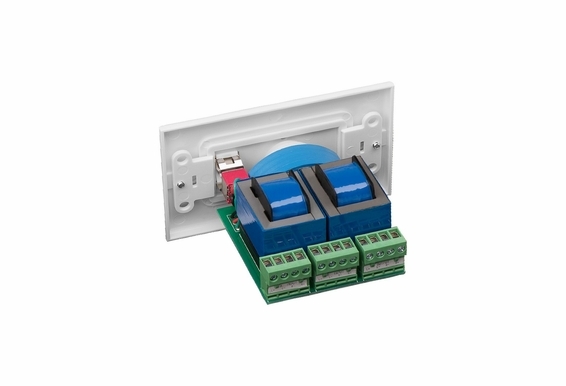 I want to use it with one input switching between 2 sets of speakers... will this work for that? Is there something similar to this that is A or B and A and B? I have speakers on my outside deck and on my patio by the pool. Fed from a single source, I would like to be able to select either set of speakers or both sets of speakers and control the volume. would this work as simply an on/off switch between 2 speakers and an amp? This is device control two sets of speakers from a Sonos CONNECT:AMP? If a receiver is connected to A, and nothing is connect to the B input, could this volume control be used to turn off a source? Any chance of getting this product in black? If so, you have yourself a customer. Hi Daniel, No substitute at the moment but we will be bringing this back. I'm hopeful we may have this in July. my receiver is rated at 5ohm output. I want to hook up 2 in ceiling rated at 6 ohm in zone 1. I want to hook up a planter speaker (single but may add another) on porch for zone 2. Is this ok and what would I set the volume control knob to. I understand I can only play one zone at a time. I have one source that is a mono speaker output. To wire up 2 speakers normally need to be in series to keep 8 ohms. 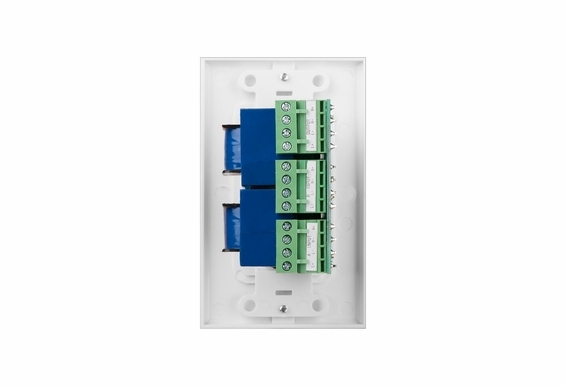 Is if I want to use this mono source with the "input A" of this volume control unit, can I install a wire between R+ and L- to accomplish the series wiring? input B will be wired for normal stereo wiring, and have both speakers working for both A and B source. What gauge wire can the selector accommodate? 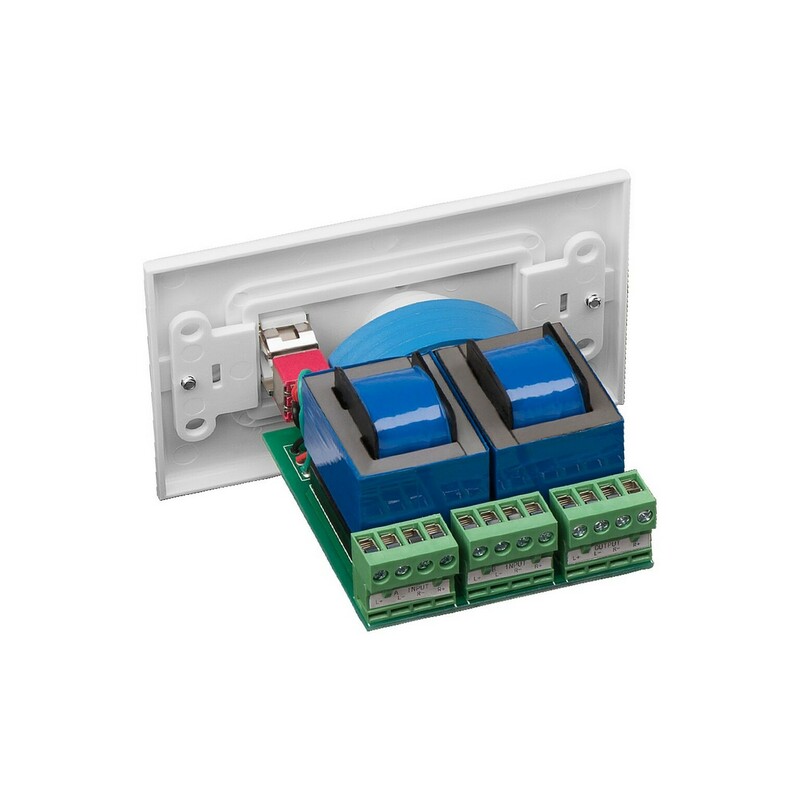 Does this work with 70 volt systems? Will this work with line level or only speaker level? 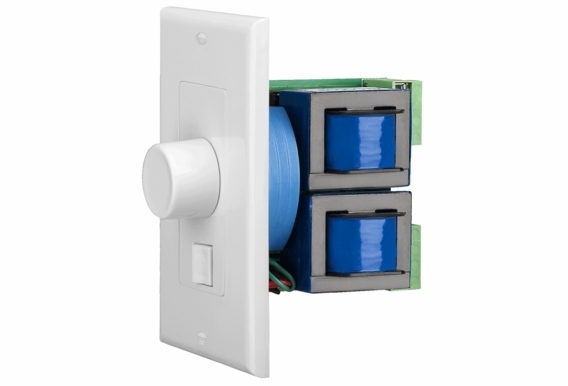 I am looking for a 2-source selector switch and volume control combination for outdoor speakers, how would this SVC405 device survive in New England if it where protected within a sealed outdoor weather proof receptical with a raintight clear plastic while-in-use cover? or would temperature differences cause material condensation issues? Also, a previous question asks if this controller can completely turn off the signal to the speakers, and the response was not completely - but does the lowest click on the volume control at least result in no noticeable sound eminating from the speakers? 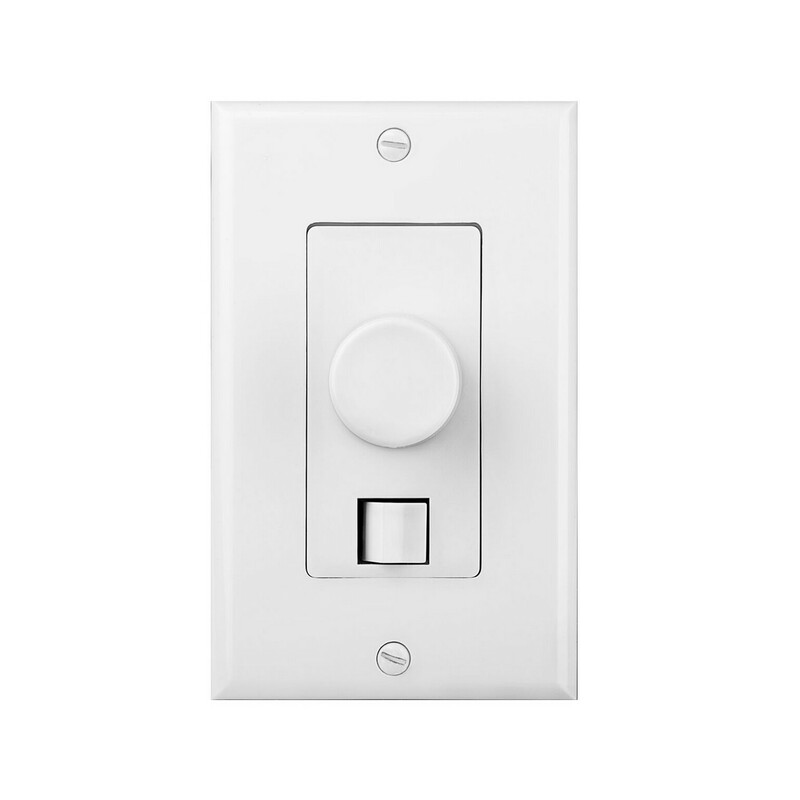 I am looking to have the a/b select on the control like this product, however, I also want to be able to turn the speakers off from the control...can this be accomplished with this product by turning the volume control down to the first position? Thanks. Can the speakers be selected to play A and B at the same time or is it just either A or B playing at once?